Starring super-food raw cacao powder. 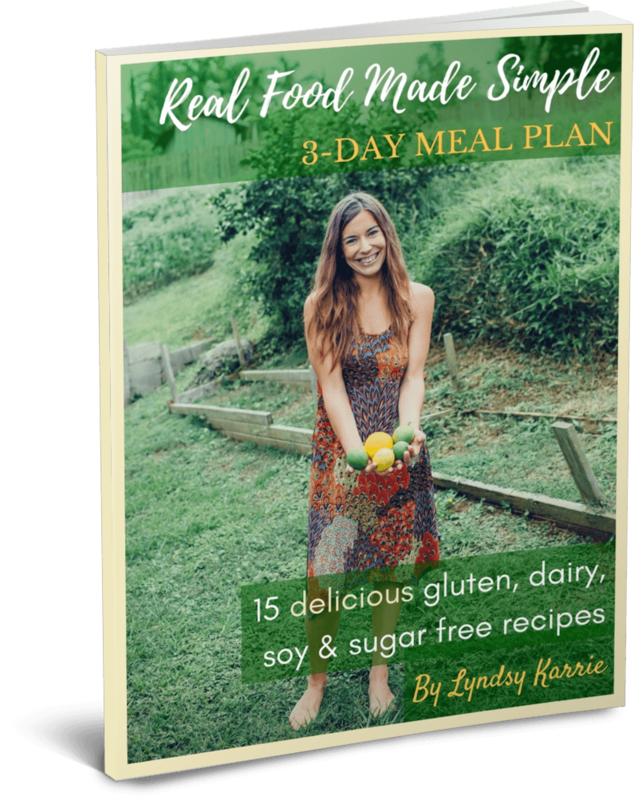 It works with Paleo, FULL GAPS, GFCF, Clean Eating, Dairy-Free, Raw and Vegan lifestyles. One thing to note is that cacao is very high in oxolic acid. Oxalates are in many foods, fruits, nuts, and seeds. Some more than others. If you're in the beginning stages of GAPS you should be excluding all foods high in oxalates. But as the gut heals many people are able to reintroduce high-oxalate plants like cacao. It's still a dessert. But if you're going to have ice cream, it's one of the healthiest options out there! It looks like ice cream, tastes like ice cream, and smells like ice cream. But you don't have to call it ice-cream, you can call it "nice-cream"! Let's do an experiment together! Serve it to one of your friends or family members who likes to eat unhealthy food. But DON'T tell them it's raw, vegan, healthy or dairy-free. And let's see if they're able to tell the difference! My theory is that more people will say, "This ice-cream tastes better than store-bought!" than not. But ONLY if you don't tell them anything about it being dairy-free, or vegan. Or anything else that could give someone the idea that it won't taste as good. Because the truth is that a lot of the time these words can have negative connotations for people. They can cause them to have premature thoughts like, "This won't taste good." Instead of trying new things with a completely open mind. And if you don't use these words beforehand they'll be shocked later when they find out they actually liked it! And their mind will begin to open to the idea of eating healthier. It's like an epiphany, sort of. It's an experiment of neuro-linguistic programming. Because in my experience you have to be careful about introducing healthy food to unhealthy eaters. Sometimes you have to get tricky just to get them to try something different. Using words like "healthy" "raw" and "vegan" can invoke uncomfortable feelings within people if they don't usually eat these types of foods. You might think I'm being silly, but I'm actually being very serious. When I was growing up, I didn't want anything to do with flax seeds- so I completely get it. Once upon a time, I too had thoughts like, "Why eat healthy, when I can eat cheeseburgers and french fries?!" But then I had a child with "leaky gut syndrome", Autism, and severe food intolerances. On this journey I've learned the importance of nutrition. Especially for those with weakened immune systems. And I've also learned that healthy food can taste even more amazing than the sugary-filled processed foods out there. And now I'm on a mission to help others see just how delicious healthy food can be. And to destroy the myth everywhere that health food isn't yummy. Because that simply is not true. One time I saw someone super excited to have a bite of a cheesecake I brought to a potluck. But as soon as the words "raw"and "vegan" were mentioned- they didn't like it! Immediately this guy said, "Oh, I only like New York Cheesecake." He didn't even give it a chance! It's incredible how much resistance some people will put up to healthy food. It's no joke! And the craziest thing is that when I tested my hypothesis- I was right. I ran this experiment on someone else later that night. I served a slice of cake to an unsuspecting subject and didn't mention it's healthy origins. Upon truth unfolding, the male subject was shocked! He declared that my cheesecake tasted the same as a regular one. He added that he never would have known the difference if I hadn't said anything. So, I'm curious if you try this experiment with your friends/family if you'll get the same results. It's for a good cause- we need more people to know that HEALTHY FOOD IS DELICIOUS too! This is my simple, dairy-free chocolate, banana ice-cream. Put frozen bananas in a high-speed blender and blend until smooth and creamy, scraping the sides down as necessary, about 2 minutes. Add raw cacao powder and blend again until mixed well. For a firmer consistency, place the finished product in the freezer for an additional 30-40 minutes. For a gourmet effect, sprinkle cacao powder on top, drizzle my homemade chocolate sauce and add a sprig of mint, as pictured above. Enjoy! Wow, this looks good. Who said you can no longer enjoy a good dessert just to stay healthy?! I have a holistic doctor who provides raw organic cacao thus this is a must save for me. I’ve never considered placing bananas with cacao powder together, but this sounds like the better alternative to eating ice cream instead of those we get from convenience stores. Will definitely try this out.